Do you have a brand new installation of the Sublime Text editor which you plan on using for PHP (or any other language which identifies special strings, like variable names, with a symbol, like the dollar sign '$')? Don't forget to change the Preferences > Settings -- Default > "word_separators" to remove that dollar sign (or other symbol). Now your copy-paste won't keep losing your '$'. Created a few different size formats of the same image concept to be used in advertising Devil Music on the internet. Added support to this blog for syntax-highlighted code blocks in this blog using SyntaxHighlighter by Alex Gorbatchev. Repaired a hijacked community page. The Devil Music Kindle edition is now available through Kindle Direct Publishing (KDP) on Amazon.com. You can get it [HERE]. Got File Transfer Protocol (FTP) access set up to the Devil Music web server instance on Elastic Compute Cloud (EC2), using FileZilla. Got an Amazon Web Services (AWS) account with an Amazon Linux Elastic Compute Cloud (EC2) instance running (which you can connect to) with LAMP infrastructure configured to support a WordPress installation. I got cover art for the novel Devil Music, by Carly Orosz using 99 Designs. The winning design was by jok.r (Ismail Nihad - on 99 Designs , on Facebook , on Tumblr ) from the Maldives [ ]! It was a pleasure to work with him and Carly got exactly what she was looking for. 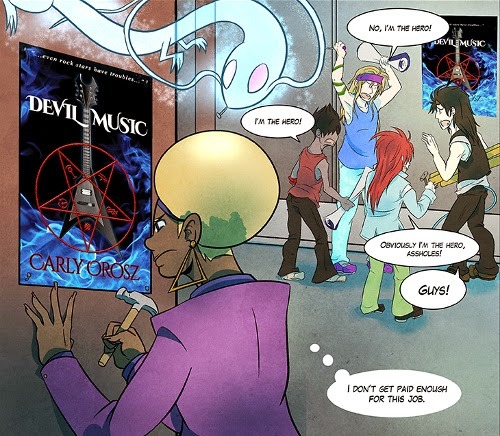 Signed up with Bowker to get International Standard Book Numbers (ISBNs) for the novel Devil Music, by Carly Orosz.